Guest speaker: Henning Christophersen, the Chairman of a new working group of the European Commission for a multi-billion euro investment programme. 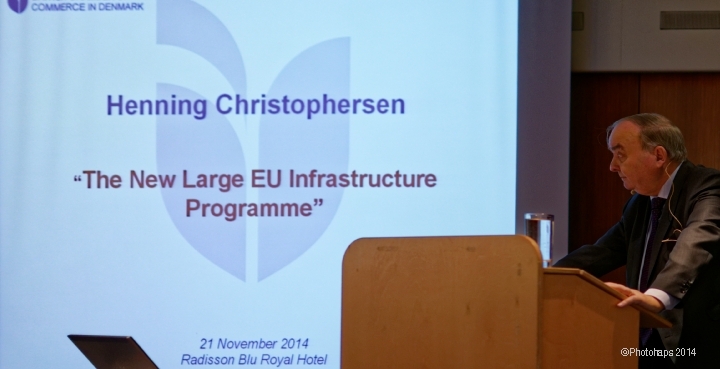 This speech was an eye-opener in which Mr Christophersen very skilfully, and not without humour, explained how the EU’s new large (i.e. gigantic) infrastructure fund can be leveraged by private investments to provide greater levels of economic growth. From his subsequent time in Brussels he was able to give us insights into what few of us have experienced – the thought patterns involved in playing Monopoly on a really grand scale, with players like Margaret Hilda and with the streets, houses, hotels, stations and utilities of the whole EU. His spitting image, Sir Topham Hatt, controlled all the infrastructure in the gentler world of the Island of Sodor. One wonders how this massive infrastructure programme could come to affect that island. One could imagine that in some future episode Thomas will be confronted by a newly excavated statue of Ozymandias. This entry was posted in BCCD Lunches on November 27, 2014 by thehapper.